Redshirt-sophomore T.J. Cline scored a career-high 15 points, but Richmond’s second-half comeback to erase a 10-point deficit ultimately fell short as Old Dominion (2-0) took a 63-57 victory on Tuesday night at the Constant Convocation Center. The Spiders (1-1) trailed by as many as 10 points at the start of the second period, but Richmond slowly chipped into the Monarch lead and eventually overcame it with a Terry Allen trey at the 5:48 mark. However, ODU hit three big field goals, including a three-pointer from Jordan Baker with 1:10 remaining to thwart Richmond’s comeback effort. Cline’s 15 points marked a new high in a Spider uniform after he scored 11 points on Friday in his Richmond debut against Radford. Cline has gone 11-of-14 from the field in his first two games. Alonzo Nelson-Ododa notched his first double-double of the season and second of his career, finishing with 10 points and 10 rebounds. The junior forward was most effective at the free throw line where he drained 8-of-9 FT attempts. ShawnDre’ Jones reached double figures for the first time this year with 12 points and three assists. He hit two three-pointers, including the game-tying trey with 6:34 left that produced a roar from the Richmond faithful. ODU was led by Trey Freeman’s 13 points and Baker’s 12 points. Taylor Denzell grabbed five offensive rebounds and finished with 10 points. Richmond finished with a higher shooting percentage for the second consecutive game, going 21-of-47 (44.7) from the field. The teams were nearly even in the turnover category (9-10) as Richmond had 11 points off turnovers and 10 second-chance points, three more than ODU. Old Dominion used several early three-pointers to build a quick lead and maintained it throughout the first half. Richmond trailed 22-13 at one point, but rallied with five straight points to cut the margin to 22-18 after a Cline layup. Old Dominion maintained a 32-24 lead as the teams headed to the locker room. 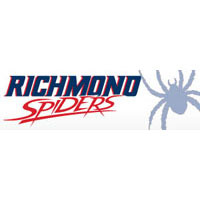 Richmond’s offense came out firing in the second half as Cline continued to find his way to the hole and the Spiders drew fouls and free throw opportunities. After consecutive stops, Jones hit a runner in the lane and then a corner three-pointer to tie the game at 49 with just under seven minutes remaining. Allen then knocked down a three for Richmond’s first lead since the game’s first possession. ODU hit two shots in the paint to open a 55-52 lead, and after several free throws from both teams, Baker’s corner three put the game away at 60-53 with 1:10 left. Senior Kendall Anthony, who finished with eight points, hit a driving layup as the clock ran down, but Old Dominion came away with the win, 63-57. Richmond returns home for a Saturday afternoon against High Point, which begins at 1 p.m. at the Robins Center. The game will be broadcast on CSN+. “Our offense was better in the second half, similar to the opener. I think in the first half we were just pressing a little bit and force the issue. I think we’re better when we play aggressively, but also sharing the ball and moving the ball. “In my eyes, it was just another game. Playing here at my mom’s alma mater was actually more of a big deal outside of the family than inside the family. She (Nancy Lieberman) just told me to go play my game. For the second-straight game, the Spider starting lineup was Kendall Anthony, ShawnDre’ Jones, Trey Davis, Terry Allen and Alonzo Nelson-Ododa. T.J. Cline scored 10 points in the first half on his way to a career-high output of 15. Cline’s mother, Hall of Famer Nancy Lieberman, is an alumnus of ODU and attended the game. Alonzo Nelson-Ododa tallied his first double-double of the season and second of his career. He came just one point shy of a double-double on Friday. Through two games, he’s averaging 10.5 rebounds and 9.5 points. Richmond continues to be a strong second-half team. The Spiders increased their scoring output by nine in the second frame and outscored ODU, 33-31. The Spiders and Monarchs share a fierce rivalry in Virginia. While ODU snapped Richmond’s recent three-game win streak in the series, the Spiders have still won 10 of the last 14 games against Old Dominion.